Why paint just one Rubik’s puzzle when you can paint six? It certainly seemed like a good idea at the time! The complexity of patterns, and difficulty of perspective, made this a very challenging painting. 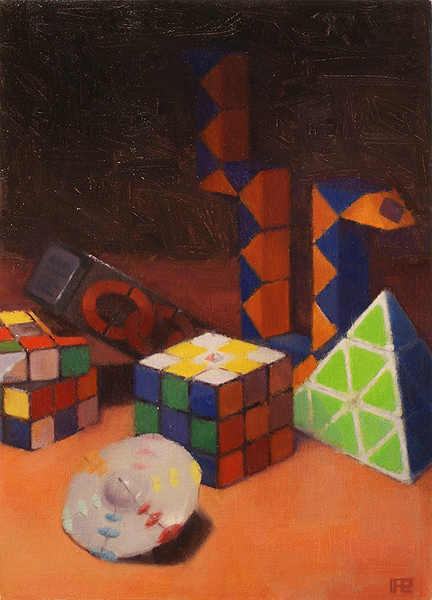 It might actually be easier to solve a Rubik’s cube, then to paint one. The other puzzles included in the composition are a Meffert’s Pyraminx, Rubik’s Missing Link, Rubik’s UFO, and a Rubik’s Snake.